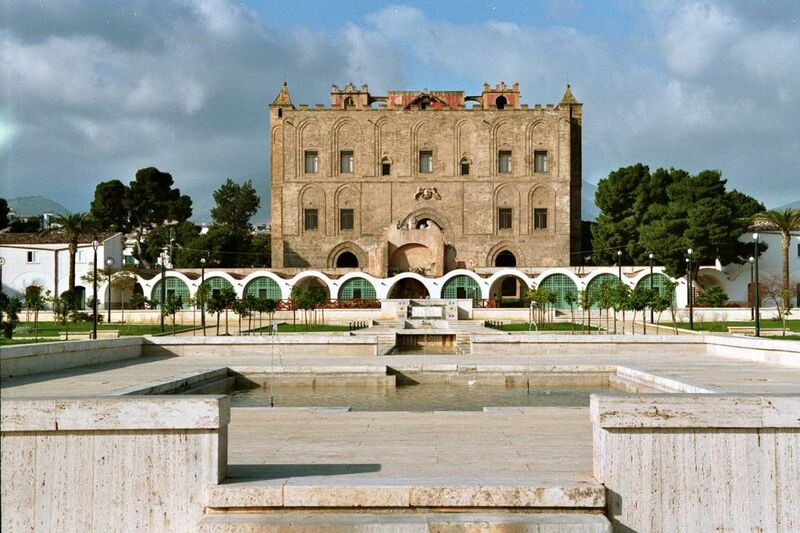 Recently included in the Arab-Norman Palermo and the Cathedral Churches of Cefalù and Monreale, the Zisa is a characteristic and old castle in Palermo with a mysterious fresco and a hidden treasure. If you are planning your next holiday and you’re looking for something perfect, a location and an accommodation with all comforts and services, then why don’t you take a look at Travelmoods’ luxury villa rentals in Italy? Also known as “Splendida” – meaning “gorgeous” – its construction as a royal summer residence was begun in 1165 by the Norman king William I of Sicily and completed, after ten years, by his son William II. 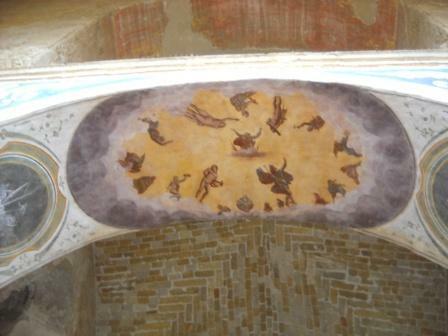 The fresco depicts some Olympian gods placed in spiral, better known as “the Devils”. There is Zeus in the middle surrounded by Poseidon, Hermes, Aphrodite, Ares and others. It creates an astonishing optical illusion that makes the devils impossible to be counted. Look up to the roof, turn round while counting the devils: you will always obtain a different number! According to the ancient tradition, the Devils protect a treasure made of golden coins hidden somewhere in the castle. It belongs to a couple of young lovers, Azel Comel and the beautiful El-Aziz who were hindering by the sultan of Lebanon, the father of the girl, opposing their love.This is just one of the thousands of mysteries that surround Palermo, the majestic Sicilian capital, a city rich in history and culture, glamorous and decadent at the same time. There are a lot of things to see in Palermo and if you want to enjoy the whole Sicilian experience to its fullest we suggest you to is undoubtedly booking one of the best Luxury villas in Sicily. the young boy ordered to build a castle in which he hid the gold treasure. However, when they heard that El-Aziz’s mother killed herself because of their behaviour, they put a spell on their gold treasure to be protected by the devils and died one after the other. The legend says that the one who finds the treasure will be able to finally count the exact number of the devils in the fresco and free Palermo from poverty. Moreover, this myth has also produced a popular way of saying, so it is very common to hear “E chi su, li diavoli di la Zisa?” – meaning “What are they? The Zisa’s Devils?” – when something doesn’t add up.